Dimensions: 47" x 35" x 89"
Shower is very well constructed. Went together easily and was able to use my existing drain so it was not as much work as I had thought. 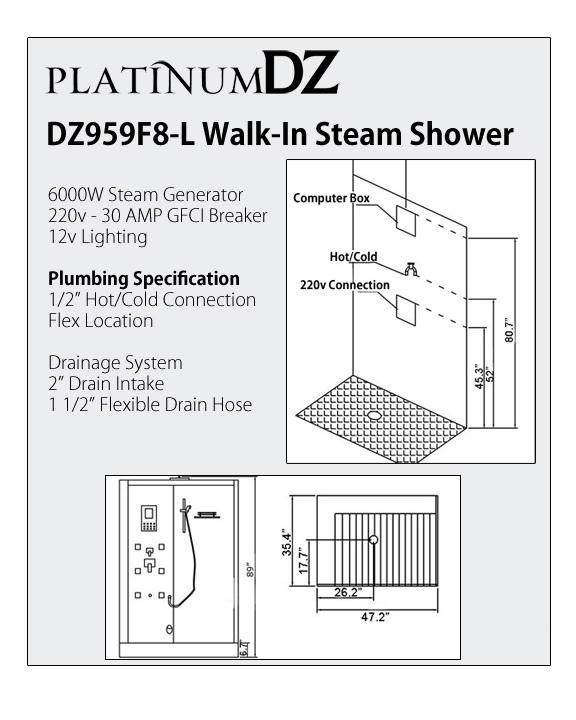 Its a beautiful shower that seems to be constructed very well and works great. It also as a powerful steam generator on it that produces a lot of steam.